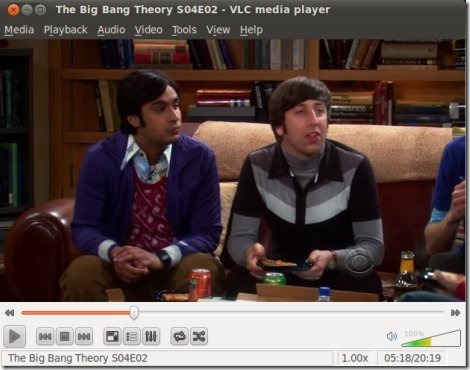 VLC Media Player is known as ‘all in one’ video player.It’s free and open source(VLC is available under GNU License) media player developed by VideoLAN Project.The most important point is that VLC player is an cross platform application written in C/C++.it’s available for windows,GNU/Linux ,Mac OSX,BeOS and BSD.On Ubuntu 10.10 you can also use default Media Player for playing common Video formats like *.AVI,audio formats like *.mp3 but VLC supports very wide range of input and output files formats.So after installing the Ubuntu 10.10 Maverick Meerkat,you will surely like to install VLC,and that’s why this post has been written i.e to explain and troubleshoot beginner Ubuntu users regarding VLC Media Player.You can install vlc either from software center or synaptic package manager in GUI mode. Go to System->Administration->Synaptic package Manager and search for ‘vlc’ in quick search bar.Then mark the packages – ‘vlc-plugin-pulse’ and ‘mozilla-plugin-vlc’ and click on Apply to install the selected packages. open terminal(CTRL+ALT+T) and enter the command written below. *You are also recommended to install libavcodec-extra-52 from multiverse repository for transcoding or streaming. Thanks…a lot..i would like to know how to install idm in ubuntu..
Press Ctrl+Alt+Backspace, login again. Now you can see a keyboard icon in the system tray, click on it, select Bangla from the menu. Press Ctrl+Space to switch between Bangla and English.